Thai Prime Minister Gen Prayut Chan-o-cha has lauded Thailand’s improved ranking in the Corruption Perceptions Index 2017. Announced by the global civil society organisation leading the fight against corruption known as Transparency International, the Corruption Perceptions Index (CPI) 2017 placed Thailand at number 96 out of 180 countries surveyed. 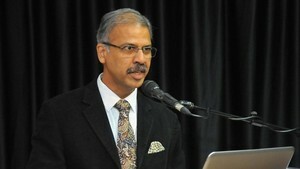 Last year, the country was ranked 101st. 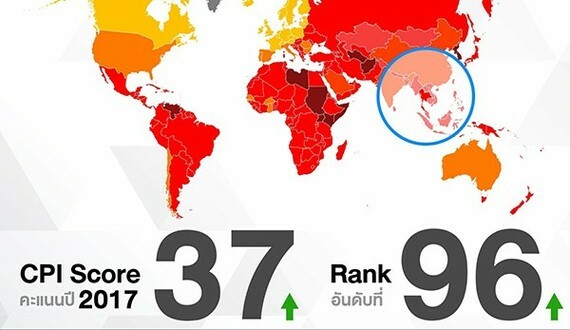 Conveying the prime minister’s message, Government Spokesperson Lt Gen Sansern Kaewkamnerd said the improved ranking reflects the government’s continued efforts to fight graft. Despite the progress, he said there is still plenty of room to improve, and the government will carry on its commitment to eradicate corrupt practices in Thai society.